Come join me out on the porch, won't you? 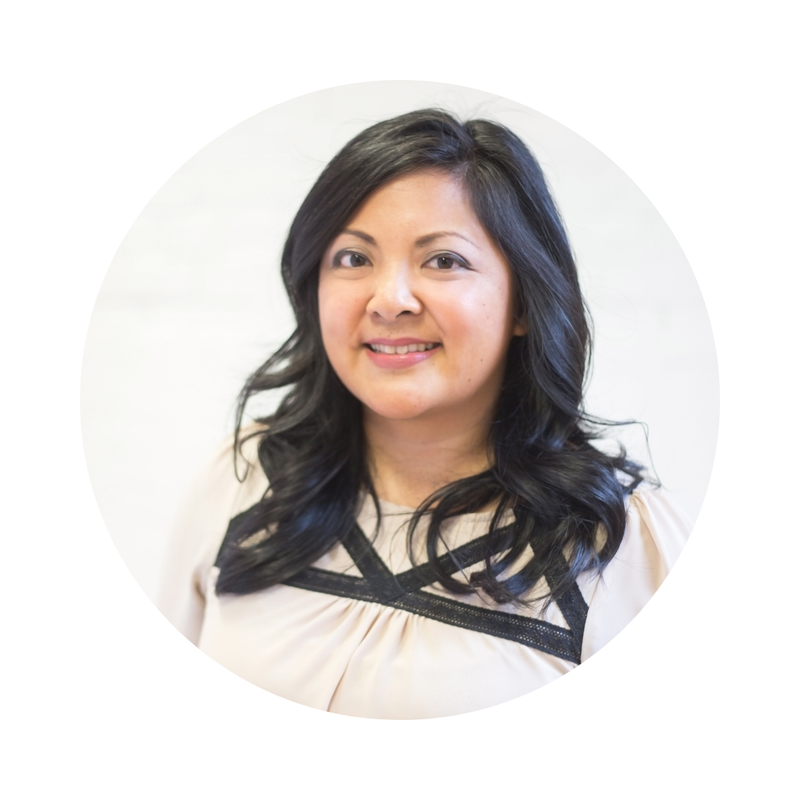 My friend Stefanie at Brooklyn Limestone is hosting a Beautiful Backyard Blogger Series and I'm thrilled to take part in it today. 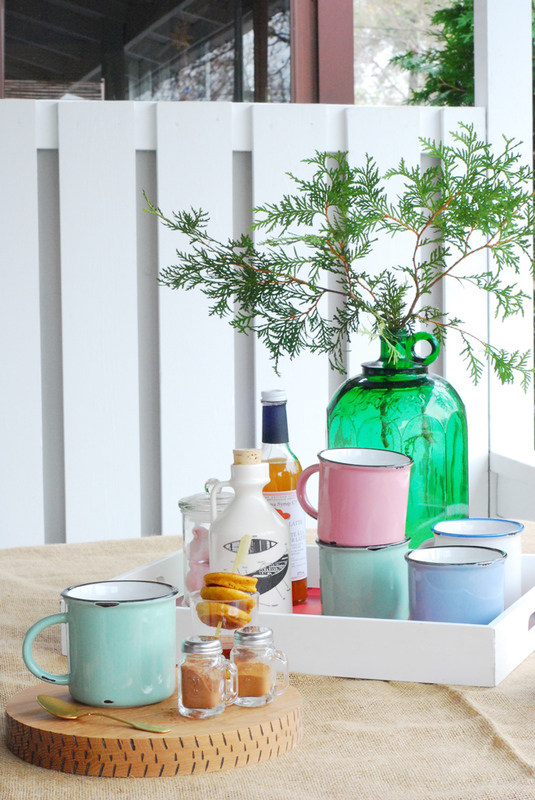 She's featuring a different backyard each day for two weeks so definitely head on over for more outdoor inspiration. I'm truly lucky to have two small but mighty outdoor spaces, our country cottage porch and back deck in the city, to escape to. They share many common elements and it got me to thinking about what goes into creating a welcoming outdoor space. Cold wrought iron furniture or cushy bench - which one invites you to sit outside and linger? 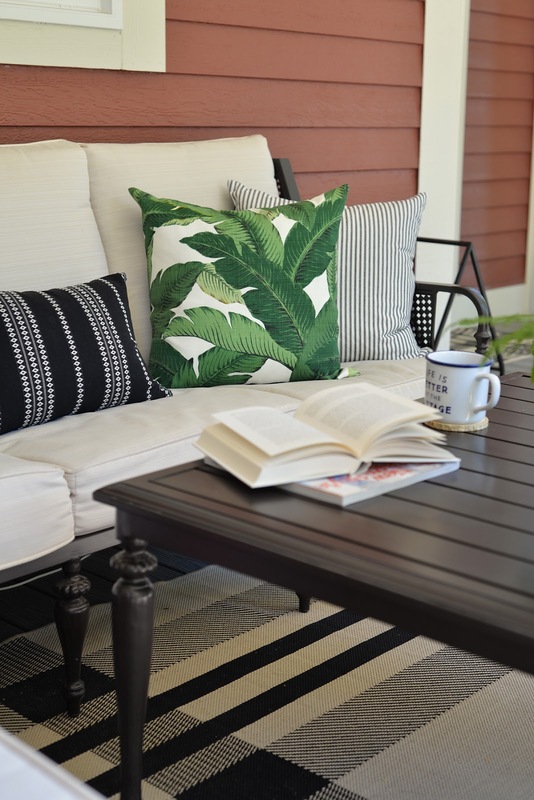 For an outdoor space, I think a cushioned long sofa or bench is a must. It gives a place to gather with friends but is also perfect for an outdoor nap. Sean and I built this very simple L-shaped bench to maximize seating on our small back deck. The top lifts up and provides storage for our outdoor pillows and decor over the winter. 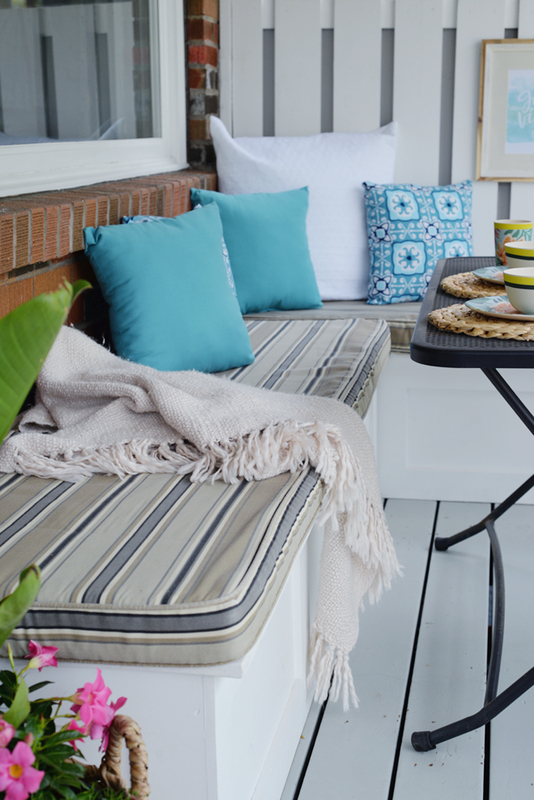 We topped each bench with a custom cushion covered in durable outdoor fabric and added throws for comfort. 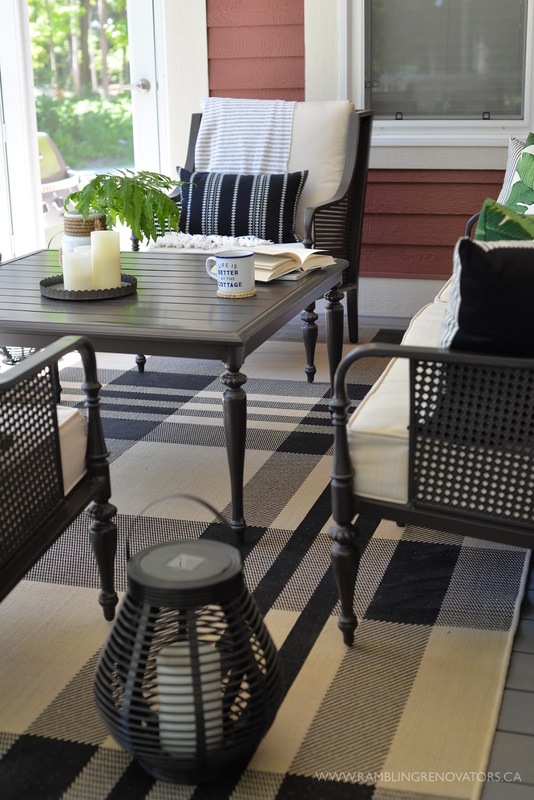 At the cottage, the matching outdoor patio set provides ample seating options. 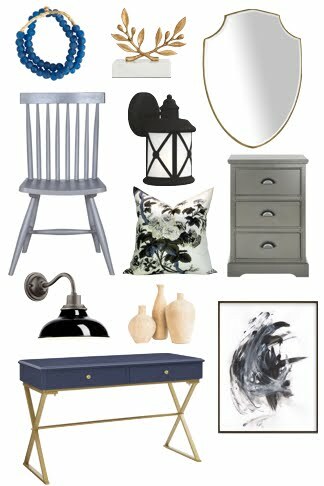 In a small space like this, it's critical to maximize use of every square inch so I picked a set that was large and versatile but had an open airy design that wouldn't overwhelm the space. The wing back style chairs are comfy for long conversations and the ottomans are great for extra seating and can be moved around when needed. Lighting helps extend the use of your backyard retreat from day well into night. String lights and candles are an inexpensive and easy way to add light. 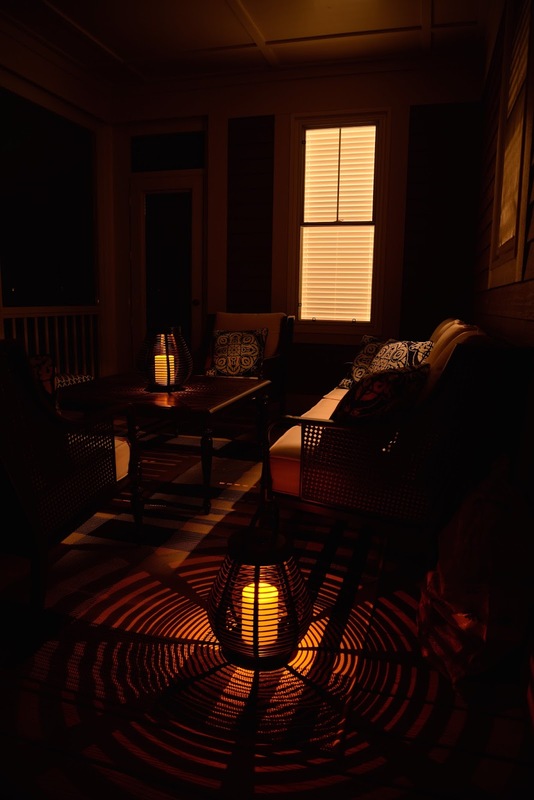 Or look for stylish lighting options like these low maintenance solar lanterns from Home Depot which can create a cozy ambiance once night falls. Can you ever have too much storage? 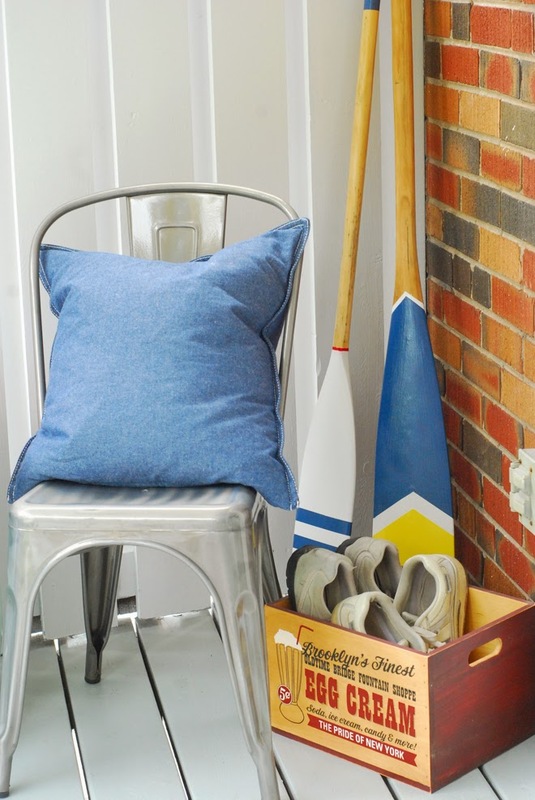 Whether you're storing extra pillows, throws, or outdoor shoes, you'll want to have storage handy. Old crates or large baskets are great for this purpose. They're small enough not to be in the way and are easy to shake out if bugs or dirt need to be removed. Art might not be something that jumps to mind when you think "backyard" but I think it's essential to making your backyard feel like a real outdoor room. Hand-painted signs, rustic wall hangings, painted oars... most anything can bring artistic flair to the outdoors. 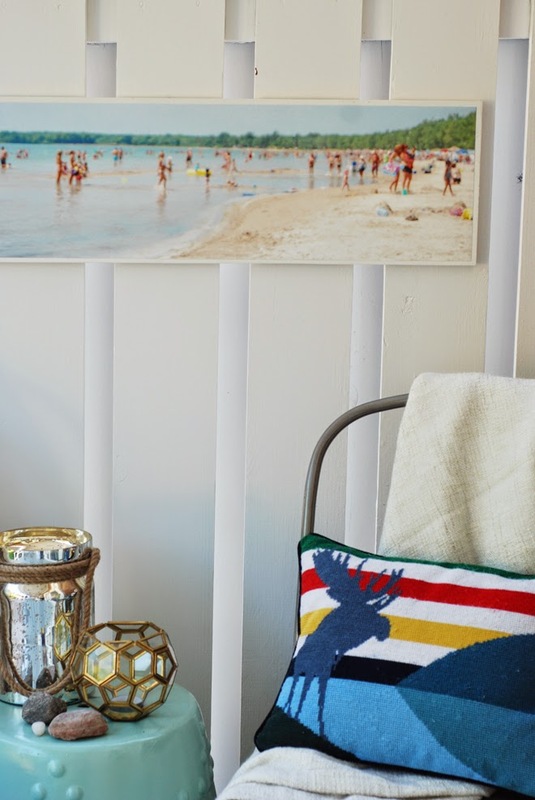 Since our porches are covered and not as exposed to the elements, I've been able to incorporate pieces like this DIY blurred beach photo and a framed print into our porch decor. They bring colour into the space and make the backyard feel fully thought out and designed. Plants and flowers add not only colour but scent and texture to your backyard. I'm terrible at keeping plants alive so I rely on a few dramatic branches or leaves cut from the forest to bring that hit of nature. 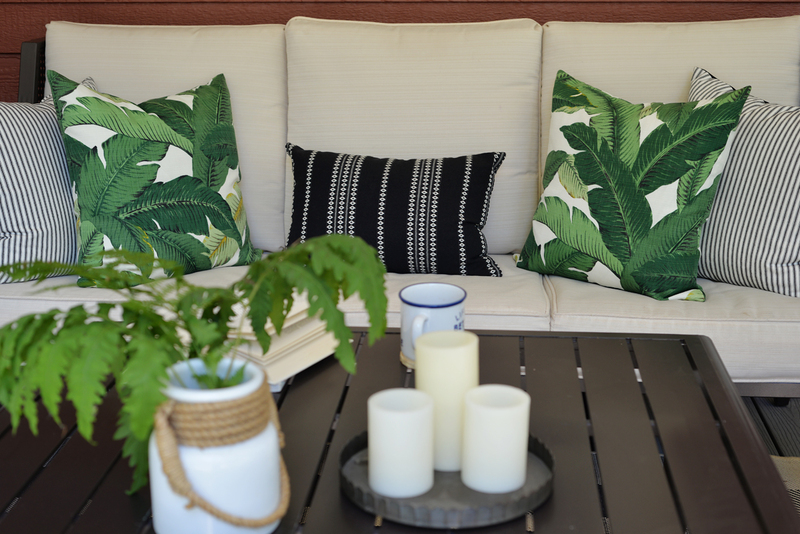 Even easier, you can get that floral feel by adding pillows in a tropical fabric like these ones I picked up from Tonic Living. I hope you enjoyed these glimpses of my outdoor spaces. 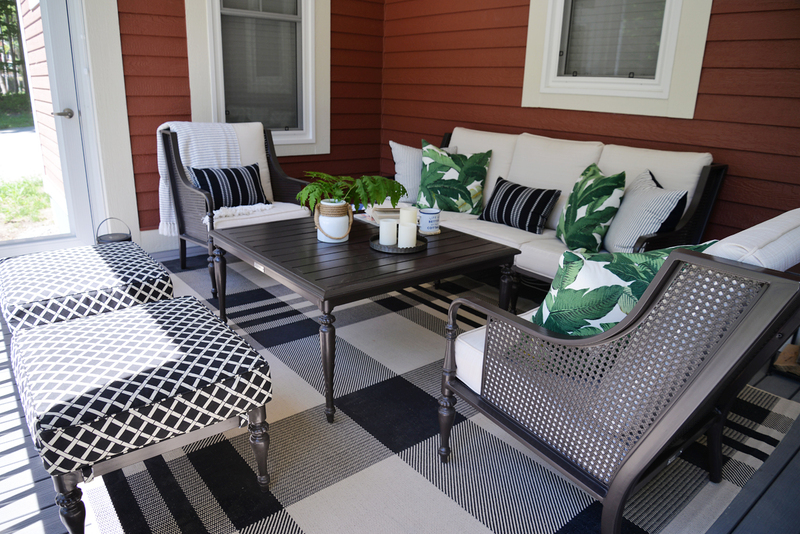 No matter if your backyard is large or small, a few simple touches can make it a relaxing and welcoming retreat. 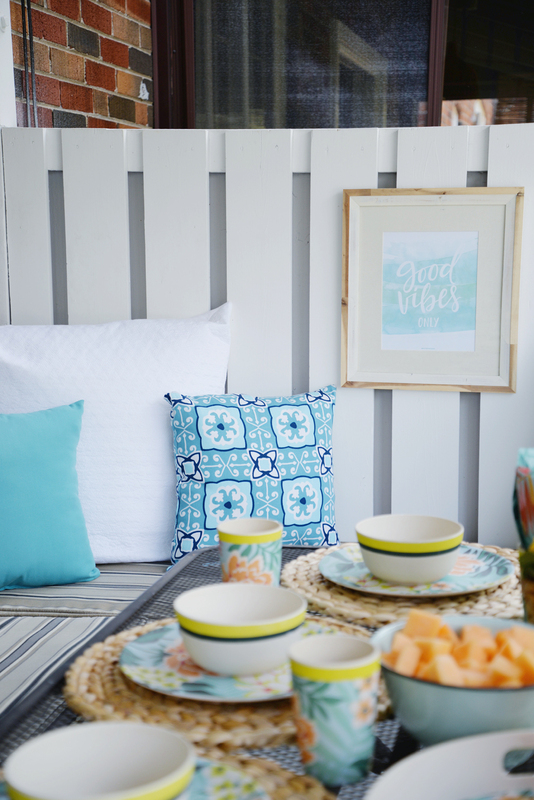 Be sure to check out the rest of the backyard inspiration on the Take It Outside tour!